Pittsburgh is a city filled with endless ways to spend a day, an afternoon, or just a couple of hours. There are museums; some filled with art, others with science, and some with everything in between. The area boasts a plethora of parks; each varying in theme and interest. There are also plenty of activities that are fun for the whole family. Events throughout the year spice up the greater Pittsburgh area, as well, and provide fun for the whole family. 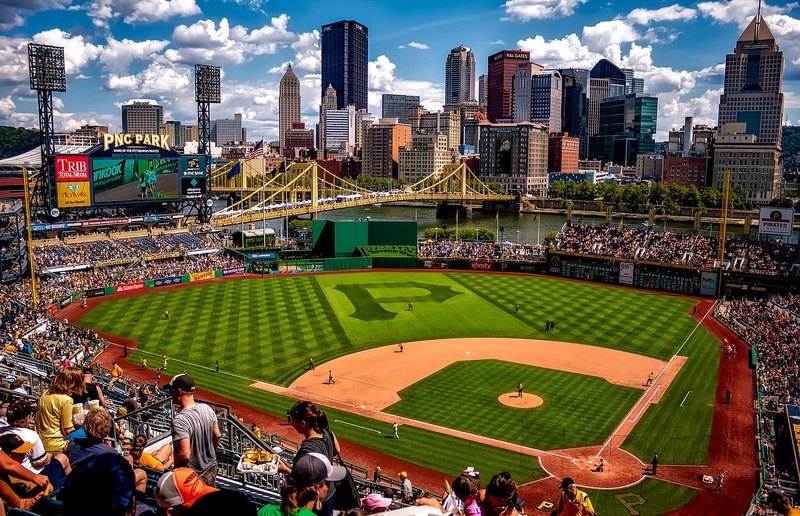 There’s no time like the present to go out and discover all that Pittsburgh has to offer. From aquatic adventures to medieval tournaments, our great city has it all. The Science Center was a favorite of mine as a kid-here is nothing better than the interactive exhibits! The Carnegie Science Center brings four floors of educational and immersive fun. Bring your kids here and they will be entertained for hours - exploring the endless displays. Some of the exhibits featured are small railroad village, a roboworld, a WWII era submarine, and a planetarium. Surely, regardless of your children’s interests, you will find something to captivate your mind, body, and imagination! The Children’s Museum of Pittsburgh is a highly awarded institution. The museum offers children to learn in a hands-on style. The exhibits feature a mix of both stationary and temporary displays. The museum offers classes in anything from pottery, painting, and quilting to animation, robotics, and rocket building. It is a great place for children to learn about new things, not by looking at or reading about it, but by actually getting their hands dirty and trying something completely new and challenging. I have always loved animals, so for me, the zoo is a place I have loved visiting. The Pittsburgh Zoo & PPG Aquarium is one of only a handful of zoo and aquarium combinations in the United States. Situated on over seventy-five acres of land, it is home to over a staggering 450 different species. There are over 4,000 animals living in the zoo and aquarium. Surely your kids will be able to find at least a couple dozen animals they will fall in love with. If they’re anything like me, your kids will love all the animals and will not want to leave this magical place. Dating back to 1898, Kennywood has been Pittsburgh’s summertime-fun destination for over a century. Kennywood is an amusement park located West Mifflin, just southwest of the city of Pittsburgh. The park provides a fully immersive family experience with fun for children and parents alike. With six roller coasters and a Kiddieland featuring 14 rides in and of itself, Kennywood is the ultimate place to bring the kids. Tickets cost just $33.49! There are few ways to have a better day. Kennywood is open from 10:30AM to 10:00PM. Go out and enjoy some good-old-fashioned-fun! Amusement park rides, a water park, live entertainment, and plenty of other unique and fun attractions… What are you waiting for? Pittsburgh’s Idlewild & Soakzone has been named one of the best family parks in the entire nation. With tickets to this awesome place available for as low as $24.50, you have got to go. If you’re looking for a place that really has it all, look no further. Activities range from laser tag and go-kart racing to bumper boats and rock-climbing, as well as a four-story play area, This place has got it all! If you’re looking for a way to entertain a whole bunch of kids with varying interests and ages, here you are. Just in the variety of activities available, Fun Fore All Family Fun Park earns its name. What is better than a day of fresh air out on the water? Brought to you by Venture Outdoors, Kayak Pittsburgh is a great and healthy way to spend a hot summer day with the family. With kayaking options for children 3 years or older, anyone can do it. No previous experience is required, just a positive attitude and a willingness to get just a little bit wet. Kayak rentals are offered in three locations which allows you to choose between exploring the three rivers that connect in the heart of downtown Pittsburgh, giving you an unparalleled view of the city, or relax in the natural beauty of North Park Lake. If your kids like history and heights, here is your entertainment. This is your chance to ride a 140 year old incline car to the top of Mount Washington. The summit reveals a panorama of the city like no other. Few other cities have a view as incredible as the one of Pittsburgh from the top of the Duquesne Incline. Add that to the fact that you’re on a contraption that is older than your great-grandparents and that's a great experience. If your kids like action and adventure, this is for you - Pittsburgh’s largest and most fun indoor airsoft arena. The arena features a wide variety of themes ranging from castles to city streets so that players are always kept on their toes. For $20 you’ll get to play for a staggering 3 hours. For $10 more, you can play all day. What’s stopping you? Bring your kids for a spot of culture. The Citizens Bank Children’s Theater Series features shows for everyone. With shows for audiences 3 years and up, at least one will ignite your child’s interest. Jokes, characters, creatures, acrobats, song, and dance all done by a professional theater guarantees both you and your child are captivated and enthralled by the amazing performances. The shows happen downtown, buut the theater also has performances in towns all around the greater Pittsburgh area. So, whether you're downtown, or just around, be sure to plan a visit to the Children’s Theater. There is no better way to show your kids some history than to take them down to Schenley Park for a 10-day celebration of cars and people. The Pittsburgh Vintage Grand Prix is a massive automotive event bringing together people from across the entire nation. The sheer number of vehicles on display warrants a return trip. The centerpiece of the 10 day festival of engines is the only race ran on city streets in the United States. With no fee for admission the event is hard to beat. The event takes place every year on the third weekend of July. Every weekend from mid-August through the end of September, you have the chance to set food in medieval times. Enjoy a knight themed amusement park featuring real-life jousting. The knights and the action create a truly unforgettable experience for all guests. The park features games and rides. And don’t forget to try all of the medieval foods and snacks available at the Pittsburgh Renaissance Festival. All of the staff is gowned in olde-time clothes and create the effect of the real middle ages. Time travel to this beautiful and mysterious place this summer!